MedMassager, makers of top-of-the-line professional massage products, were originally sold only to doctors and physical therapists for medical purposes. After years of overwhelming success and demand, however, they are now available to consumers for home use. They are in a league of their own when it comes to technology, reputation, and quality standards. Many big companies now trying to imitate and make a similar products, but failed to come up with good quality product. I tried a few models (such as this one HERE - do not buy) but they do not really work well + I even feel some pain from using it for a few minutes. They are certified by the FDA and lead the industry in delivering therapeutic massage that targets and relieves pain and increases circulation. They offer a lifetime replacement warranty, design and manufacture all their products in the United States, and offer discounts to members of the military and their families. While not covered by Medicare, some private insurance companies do cover MedMassager products, so if you have acute pain that is treatable with a MedMassager product, check with your insurance company about possible coverage. 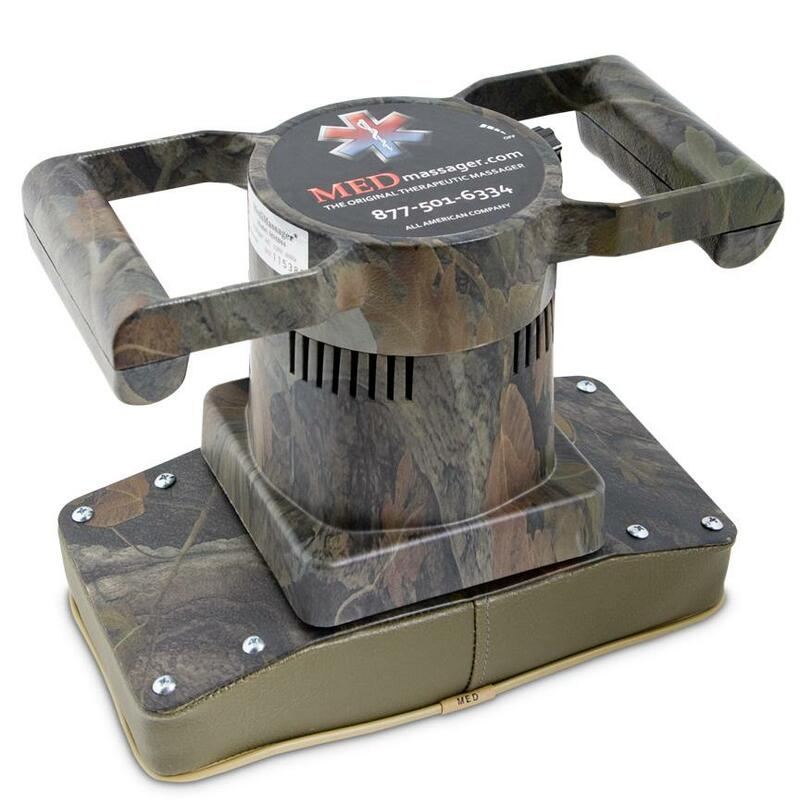 Whether you're looking for a leg massager, foot bath, whole body massager, or top of the line foot massage machine, MedMassager has a product that will bring you unparalleled comfort, relaxation and pain relief. Here's a med massager reviews and what you can expect from each product. 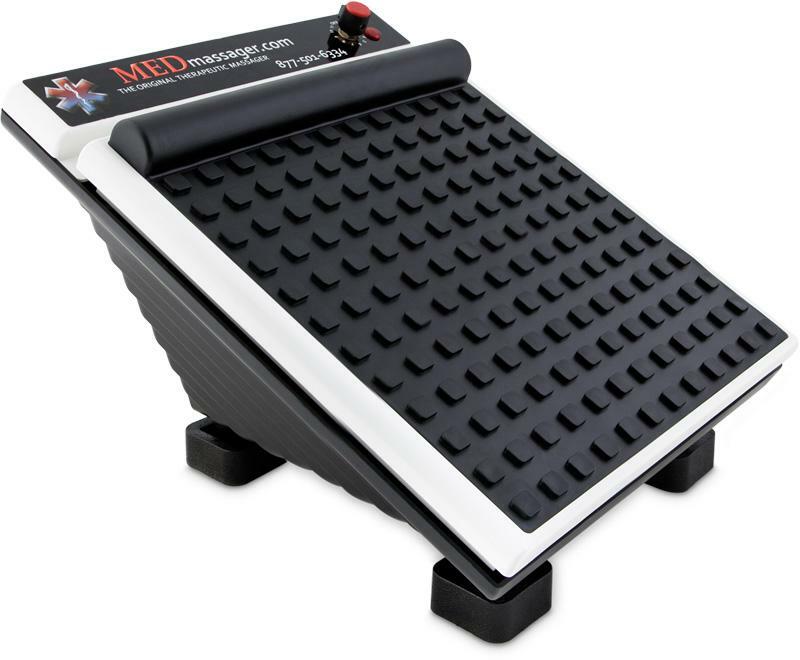 One of the most powerful tools against severe foot and lower body pain, the MMF06 model from MedMassager is a professional-level massager you can use at home. It delivers anywhere from 1,000 to 3,700 RPMs, and you can choose from 11 speeds. 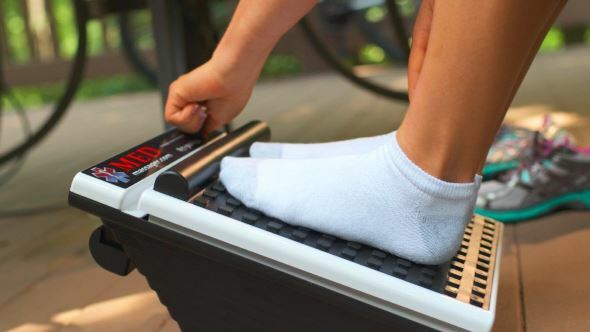 It has foot pad that oscillates and includes a bar for your arches for targeted pain relief. This is particularly good for people who suffer from plantar fasciitis, flat feet, or high arches. The surface of the massager is covered with nodules that hit all the pressure points on the soles of the feet. This machine is excellent for diabetic patients or anyone who suffers from low or decreased circulation. It's widely used by doctors and physical therapists and is great for the home or office. It relieves stress, muscle pain, and boosts relaxation. This is the latest in their line of foot and lower body massaging machines, and an upgrade from the MMF06. You won't find a comparable model. It has 11 speeds, and the variable RPM setting ranges from 1,000 to 4,000. 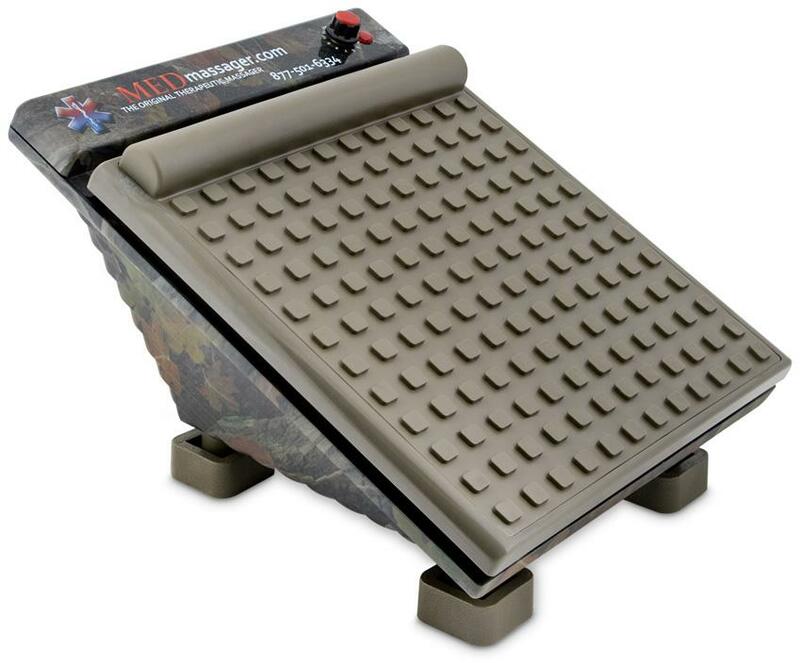 Ergonomically designed to function as a foot rest or ottoman, you can place the MMF07 foot massager anywhere that you regularly sit comfortably, at home or in the office. The unit not only massages tired feet and legs, it alleviates muscle tension, increases circulation and blood flow, and reduces swelling and painful joints. It's FDA certified to be used for therapeutic purposes and recommended by physicians. Once you try this massager for heel pain, high arches, relief from plantar fasciitis, or for increased blood flow and circulation, you will immediately realize there is no other product that delivers anywhere close to the med massager benefits. 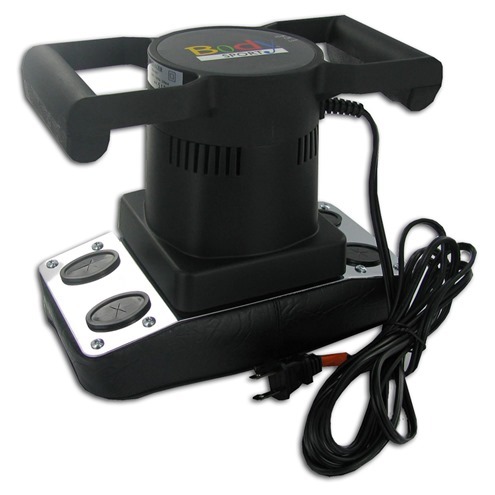 Delivering from 400 to 4,000 RPMs, this is a powerful home massaging machine. 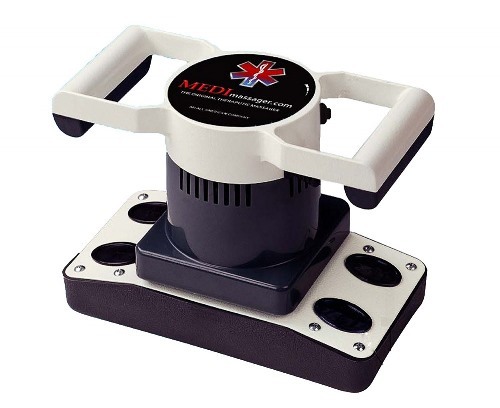 When it comes to consumer massage products, MedMassager is the top of the line. The head rotates circularly in the speed you choose, providing the ultimate relief from muscle aches and pains. This is the machine most preferred by doctors and therapists. It is perfect for easing tension, releasing muscle pain, and soothing joints. It helps reduce swelling and is recommended for those affected by diabetes or other conditions that restrict blood flow, as it increases circulation. It's light enough to be used anywhere on the body, from arms and legs, to back, neck, and shoulders. The MMB05 is the next step up from the MMB04B. If you've ever had a back or neck injury such as a herniated disc or pinched nerve that resulted in acute pain, you know how hard it can be to function at all, let alone do any kind of activity. Chiropractors and physical therapists have been using the MMB05 Body Massager to treat these types of injuries and similar pains and aches for many years. It was designed by a physical therapist to deliver the most effective therapeutic massage available. You can choose the speed for your level of pain or preference, and it ranges from 500 to 4,000 RPM. This machine can target anywhere on your body that requires relief from muscle tension, knots, or soreness, joint pain, or swelling. The powerful capabilities can treat the most acute pain. The ergonomically designed unit is easy to use on your own or with a partner. 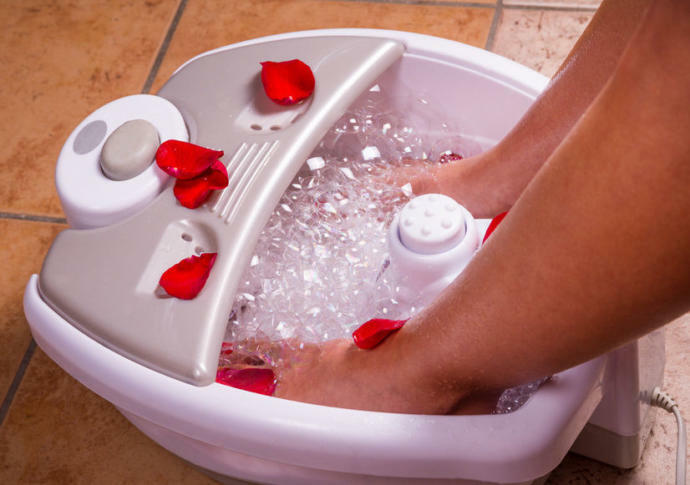 For maximum pain relief, increased circulation and blood flow, and improved relaxation and wellness from head to toe, you can get the Medimassager Foot Massager and Body Massager together. When you buy this combination pack from MedMassager, you get 130 dollars off the regular retail selling price. There are three different voltage options to choose from, and when bought as a unit, the warranty covers both massagers. This model has been upgraded from its previous 2012 version, the MMF06C. Previously used only by physicians and therapists with the appropriate license, it's now available for consumers. 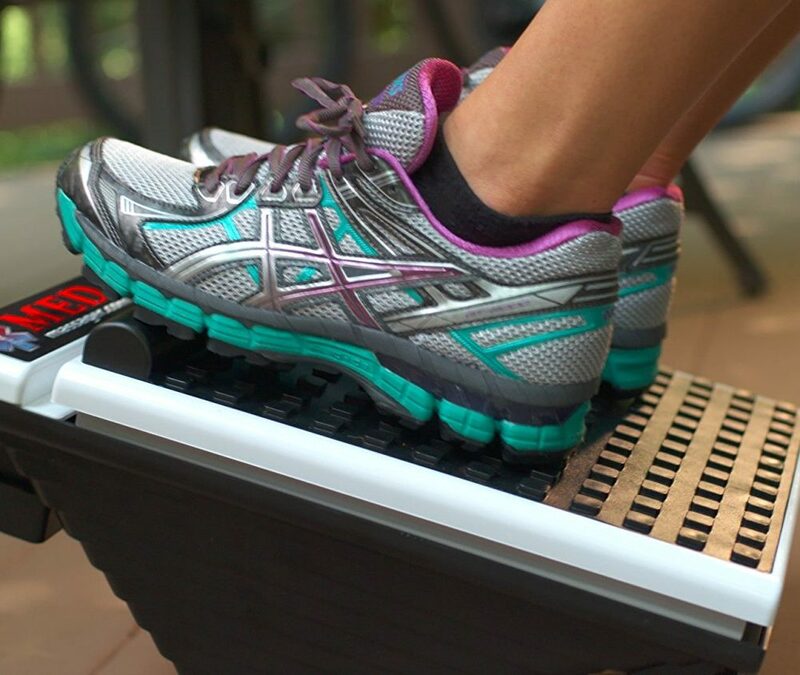 With 11 variable speeds to choose from, you can't buy a more powerful foot massaging machine. 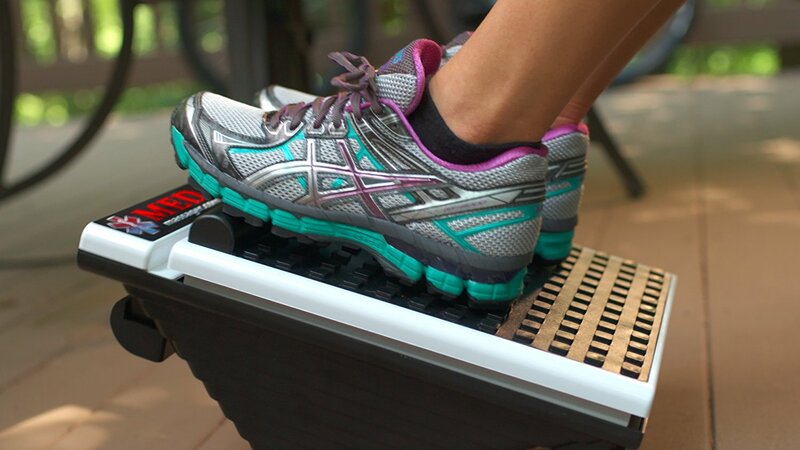 If you suffer from chronic, acute, or severe foot or lower body pain, you will want to consider this model. It's also ideal for people who suffer from diabetes or other conditions that result in decreased circulation. It's superb for easing leg cramps, removing muscle tension, reducing swelling. It's certified by the FDA for therapeutic use. The angle and design are perfectly suited to use when sitting in a chair, so it's great for the home or office. 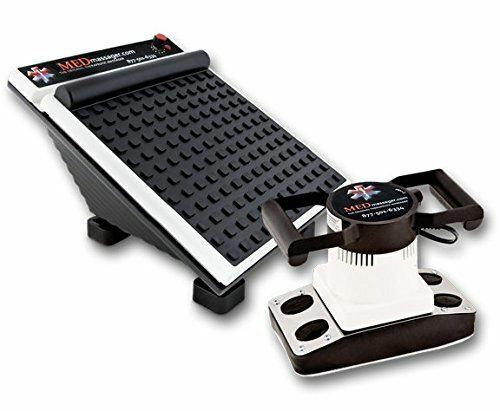 Another upgraded model, this improved body massager has a softer, more comfortable pad, and a speed control that varies from 500 to 3900 RPMs. You can use it alone, or with assistance from a partner. It's designed to target small areas or treat your whole body with soothing, professional-grade therapeutic massage. It was designed by a physical therapist and is the preferred tool for therapists and doctors all around the world. It is well suited for anyone who suffers from acute pain. It relieves muscle tension and aches, and works out any knots. It increases blood flow and circulation, reduces swelling, and is powerful enough for the most severe joint pain. It's certainly no fun trying to enjoy life when you have acute pain of any sort. And since now doctors are recommending a course of treatment that includes massage to treat back, neck, leg, shoulder, and arm pain, to name just a few ailments, it's a gift to be able to skip the doctor's office visits. Hope you enjoyed our med massager review. With a home massager from MedMassager, you can get professional-level massage and pain relief right in your own home. These physical therapist-designed, FDA-approved massagers are an irreplaceable tool to add to your analgesic arsenal.